Abbott Laboratories the healthcare giant has entered into a deal to purchase St. Jude Medical the maker of medical devices in a cash and stock transaction that has been estimated at $25 billion. 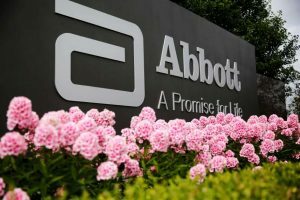 Miles White the CEO at Abbott said that bringing the two companies together would create a premier maker of medical devices and immediately advance the strategic as well as competitive position of Abbott. White added that the combined business would have a strong pipeline in place to deliver medical technologies from the next-generation and offer more improved efficiencies for worldwide healthcare systems. The new deal requires approvals from regulatory agencies in a year that the White House administration is closely scrutinizing acquisitions and mergers. However, the two companies said they expect the deal will close during this year’s fourth quarter. Abbott will pay cash of $46.75 and 0.871 shares of common stock for each share of St. Jude Medical. Together the deal is equal to approximately $85 a share of stock at St. Jude Medical that reflects a premium of 37% on the closing price Wednesday of $61.97. Shares of St. Jude soared by 275 in trading before the opening bell Thursday. At the same time, Abbott shares were down by 5%. Abbott is planning to absorb and/or refinance the $5.7 billion of debt at St. Jude’s and issue additional debt to pay for its cash part of this transaction. The new company will expect to deliver operational and sales benefits that will result in over a $500 million boost before taxes by 2020. No one is aware if the new synergies would include job cuts. St. Jude, which is based in St. Paul, Minnesota, has close to 18,000 worldwide employees. Abbott, which is based in Abbott Park, Illinois, has close to 74,000 employees.